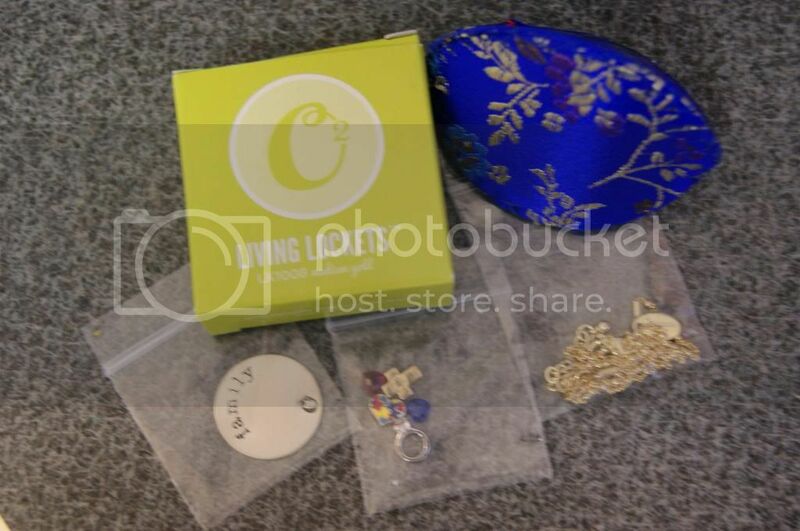 Andrea's World Reviews: Origami Owl Living Locket Review and GIVEAWAY! The countdown has begun. Mother's Day is less than one month away. Do you have the perfect gift yet? Do you at least know what the perfect gift is? If not, thank goodness I am here to help. Mother's Day is such an important day, even if your mother is no longer around(or a part of your life for any reason). There are so many special people in our lives, and some are bound to be mothers. Weather it may be your Mother, Grandmother, Sister, Daughter, Best Friend, Cousin, Aunt or someone else, I know there is a mother in you your life that has made an impact in your life. Mother's Day is the perfect time to show them how much you care and treat them to a very special and heartfelt gift. While there are so many beautiful gift ideas out there, and I am sure the lovely women in your life would be grateful for any of them, I think gifts that are unique and really have meaning behind them are the best. You might think that it is hard to find something that tells a personal story, and in the past that was probably true. I thought the same thing until just recently. But I found something that has changed that thinking. 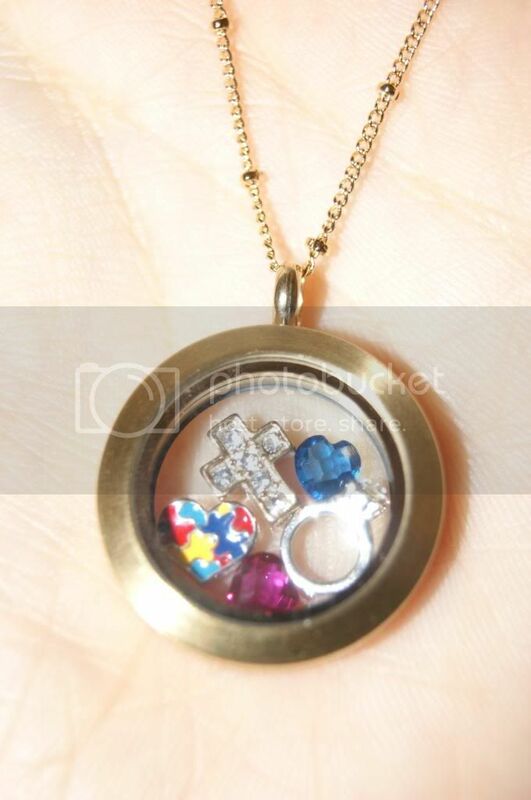 With Origami Owl, you can build your own custom Living Locket. 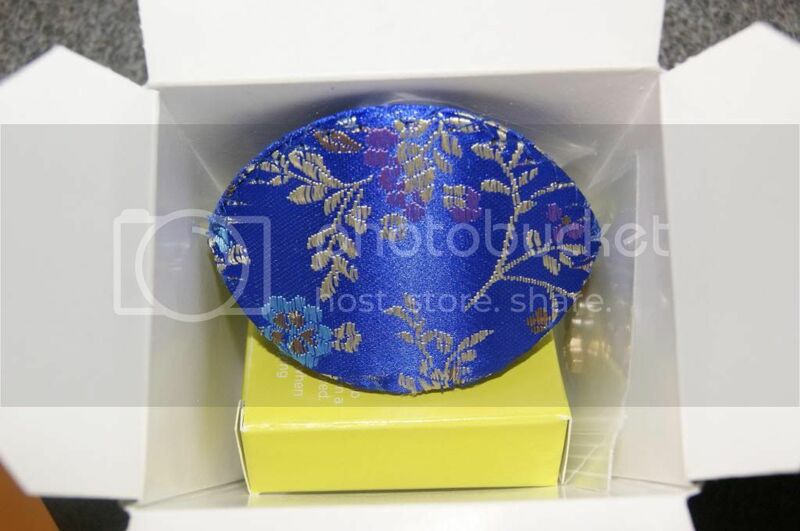 What is a living locket? It's like a scrap book that you can wear around your neck. 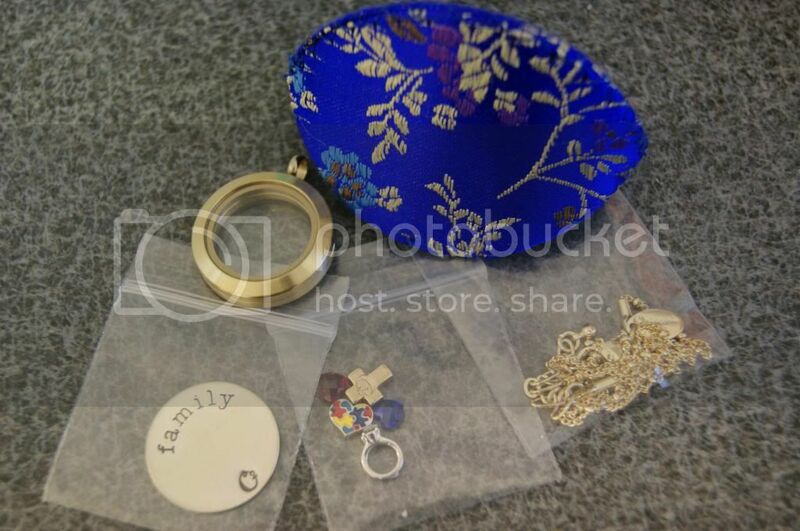 It consists of a gorgeous locket, chain and charms(and plates and dangles if you want). 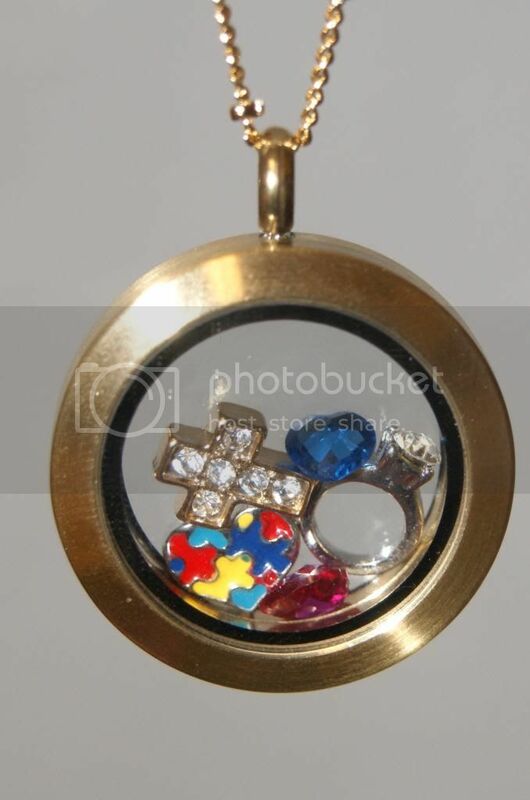 There are so many beautiful lockets, chains and charms to choose from. It is so easy to find the perfect design for you or someone you love. Tell the story of you through beautiful jewelry. What a fabulous keepsake to pass down through the generations. I designed one for myself, and it just arrived today. I am so in love. This picture hardly does justice to the beautiful masterpiece that is my Living Locket. The locket is so dazzling. I chose The Gold Ball Station Chain and Brushed Gold Medium Locket. For the charms I chose the July and September Heart Birthstones(my kids' birth months), the Wedding Ring (because I am happily married to a wonderful man, the love of my life), the Gold Crystal Cross(to show my faith in God and my lord and savior Jesus Christ), and the Autism Heart (to show my support for Autism Awareness[April is Autism Awareness Month] and to support my beloved son who is Autistic). This is the most unique and gorgeous piece of jewelry I have ever owned. I never want to take it off. It is just perfect. There is absolutely no way that I could be happier. If this isn't the perfect gift than there is no such thing. Even the packaging is adorable. I even got an adorable little container to keep my locket in(if I ever do take it off. It's even blue, my favorite color. The circle thing that says "Family" pictured above is one of Origami Owl's lovely plates, but silly me ordered the wrong size. Looks like I will be ordering a Large locket to use it in now. I think my locket looks spectacular without the plate though. Being clear on the back actually might be better even. This locket would look fantastic no matter how I designed it, because Origami Owl products are that high quality and breathtakingly stunning. I want to(and plan to) get more lockets to document all the wondrous occasions in my life. So far I have in mind: One specific to each child, with their initials and something special(like an animal or something) that represents them and of course a heart. One about my dear hubby with a clover(because he is 100% Irish), a Support Our Troops Ribbon and America Flag(since he served in the Marines), and his birthstone and initial and a "Key to my heart". That is just the beginning though. Everything is so special and gorgeous. I want(and have meaning for) at least half of the glorious charms available. And as if all of the items currently available were not enough to be totally obsessed, on April 22nd, there will be new items launched. I know I am so excited. Just from the preview I saw so many that I want. Good thing they are so affordable. I could go on and on about the elegance, quality and creativity of Origami Owl, but if just seeing this has not gotten you to believe, then it's hopeless for you. One very lucky reader will win a Silver Ball Station Chain, Medium Silver Locket and their choice of any one charm. Enter below. Good luck. I recently purchased from Origami Owl for myself--I would not hesitate to buy from them a gift--the workmanship is really nice! I would love to have one of these. I would have my son's birthstone, a camera, and the Eiffel Tower. That is really cute I like the one you made! Oh goodness, there's so much to choose! I would need something to represent my Mama-ness and then my love for my husband and my faith. I'm not sure what else! I have so many things I would want to put in mine. I have seen these before and am so hoping for one for Mother's Day. There is nothing that says it better than a Living Locket from Origami Owl. :) Thank you so much for your awesome review and for allowing me to do this giveaway for everyone! I am very excited! Good luck to all of you! How quaint, very nicely designed! I want one for myself lol. 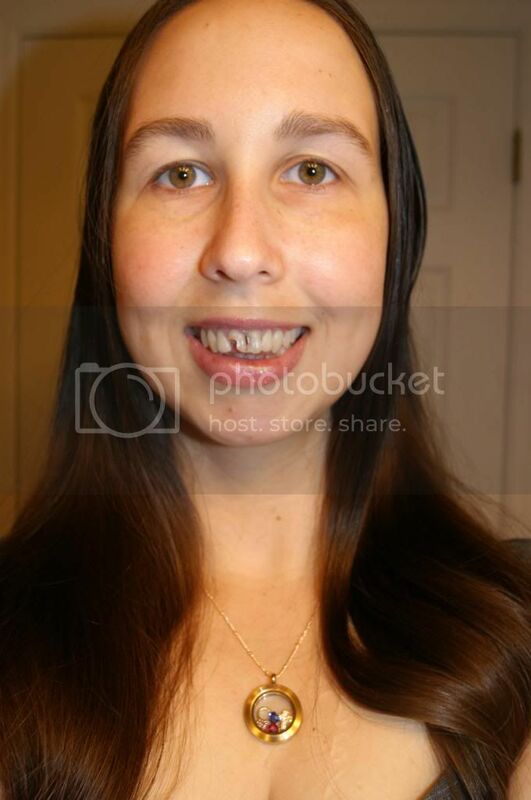 It's pretty and you look stunning! I'd love some Faith, Family and Birthstone charms in it if ever I win! 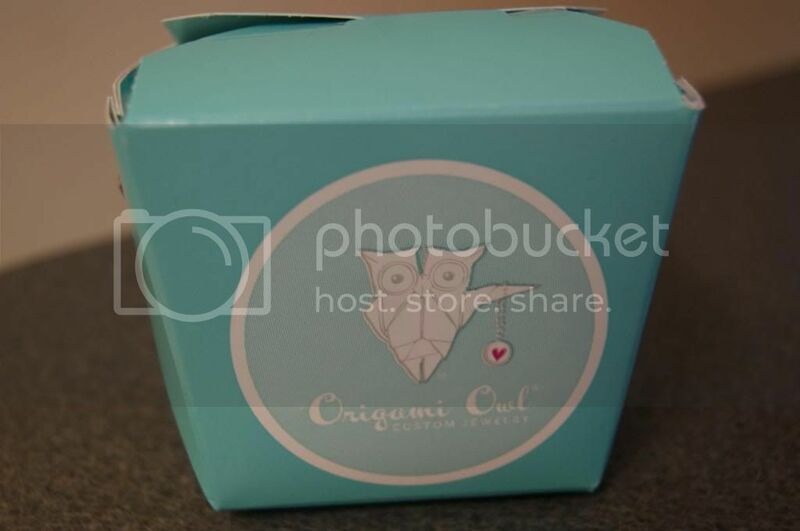 I absolutely live origami owl and I do not even own a pocket yet! I will have one eventually! I would have my kids birthstones and my initials for sure! I would probably get a heart and mine and my son's birthstones, possibly a little cat or a paw if they have it. These really are beautiful! I want to get the birthstones of my siblings and I for my mom for mothers day. And hopefully one of the grandkids for my nana!